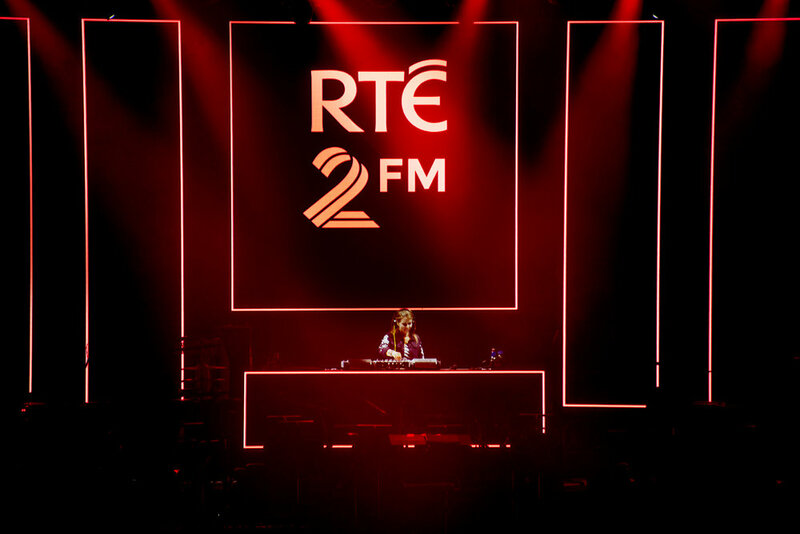 This was a 17 track content package created for 2FM & The RTE Concert Orchestra Dance Anthem shows which toured festivals in Ireland in 2018 . 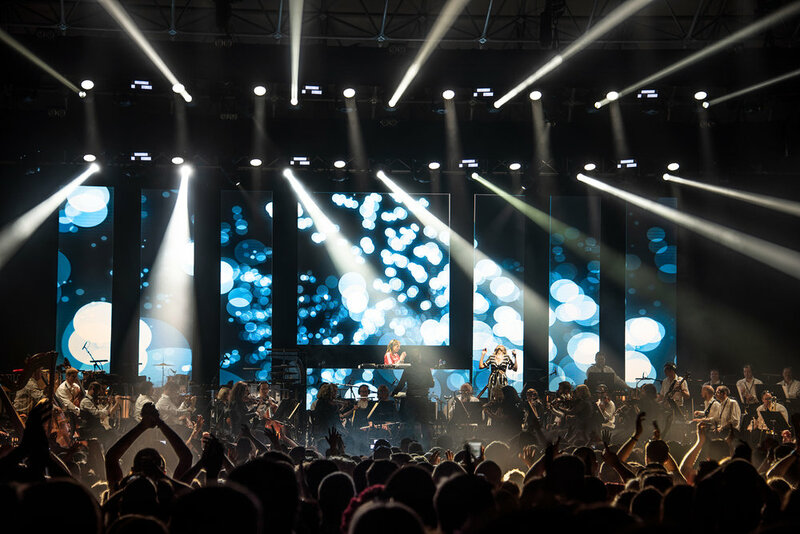 The layout of the screen as six pillars and a central square was chosen to allow the number of screen panels to be scaled up and down depending on the venue size, whilst always retaining the same layout and aspect ratio. The content was based around a visual journey through 90’s rave culture, using references from old flyers and posters mixed with analogue VJ effects. 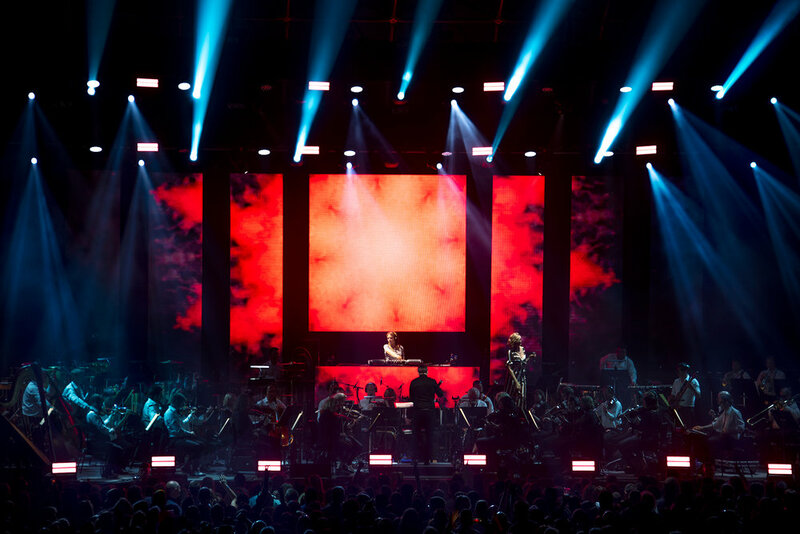 For certain tracks the screens were designed to mimic 3 dimensional set pieces suspended behind the orchestra. 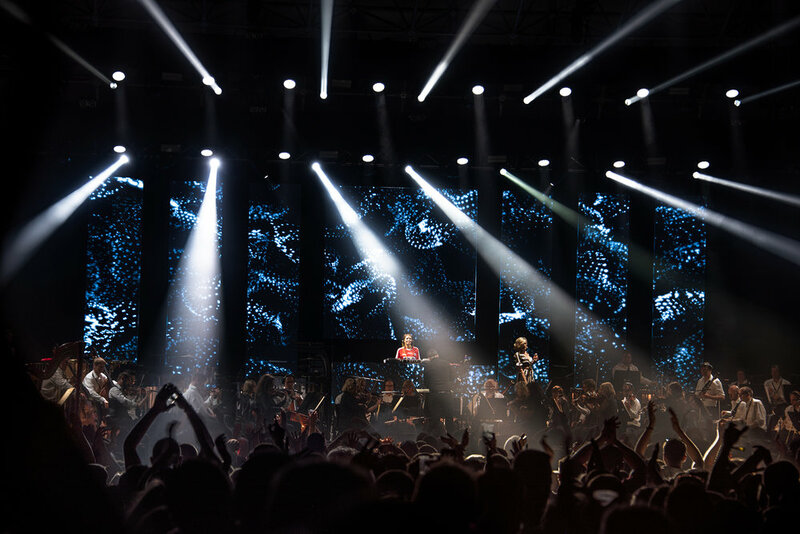 Using a time-coded playback system it was possible to sync the visuals perfectly with each beat of the music. The vocalists mouth movements were green screened in advance and applied to various digital characters who appeared during the show. The time-coded playback system allowed these characters to sing back in perfect unison with the vocalist. The Alpha channels rendered into the content allowed live shots of soloists to appear on screen at the exactly the right moment.